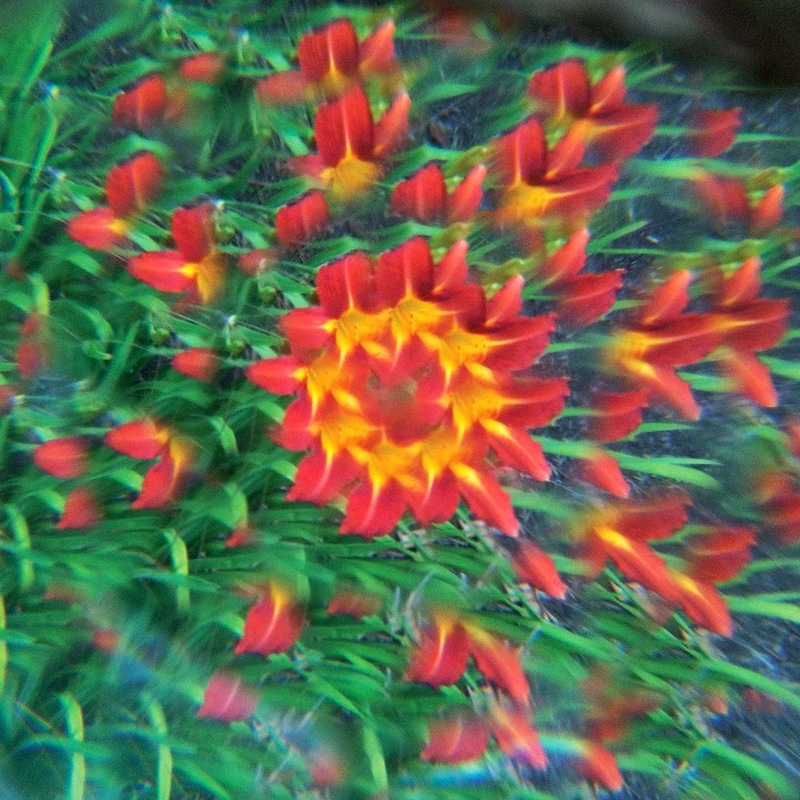 Flip Out Mama: See Like The Animals With GeoSafari Animal Eye Viewers From #EducationalInsights! 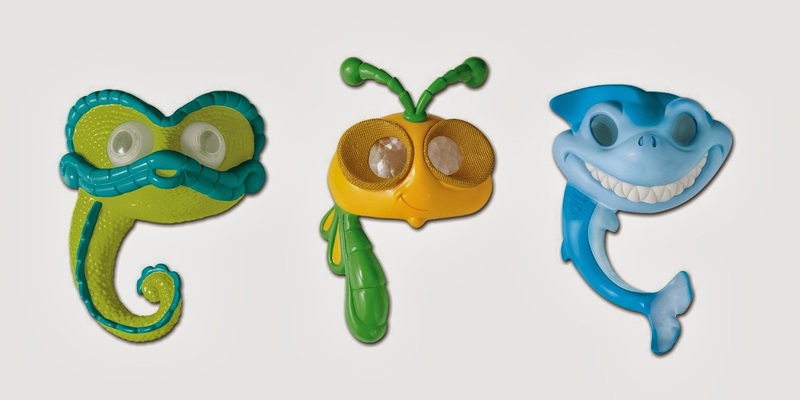 See Like The Animals With GeoSafari Animal Eye Viewers From #EducationalInsights! We have been studying a lot about animals lately, and how all animals are the same or different. We were lucky enough to get a chance to review the GeoSafari Jr. Animal Eye Viewers from Educational Insights during this time, and they were a GREAT supplement to our lessons! 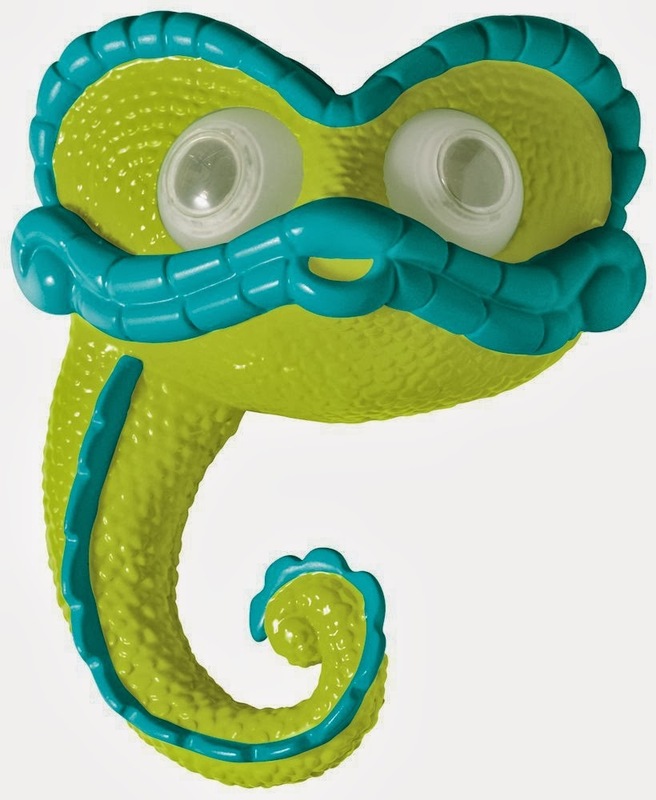 These eye viewers are a set of three super cool pairs of "glasses" that show kids how different animals see! The Insect Viewer was especially cool. I didn't know how pixelated things look through the eyes of an insect! The chameleon was also pretty cool, since both of their eyeballs rotate independently, and it's hard to keep focus. 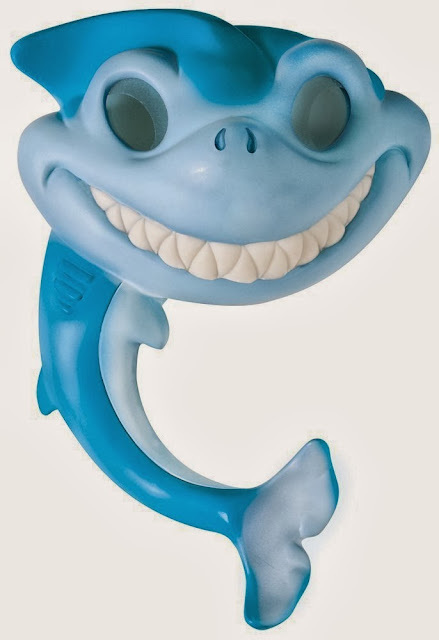 The shark viewer was by far the biggest hit however, since we had already learned a lot about sharks last year and how differently they see than us. The shark viewers even have a blue tint to them, not to mention the blind spot that all sharks have, and rearview mirrors! These were not only a big hit with my preschooler, but also a big hit with my second grader too! Even dad thought they were pretty cool! 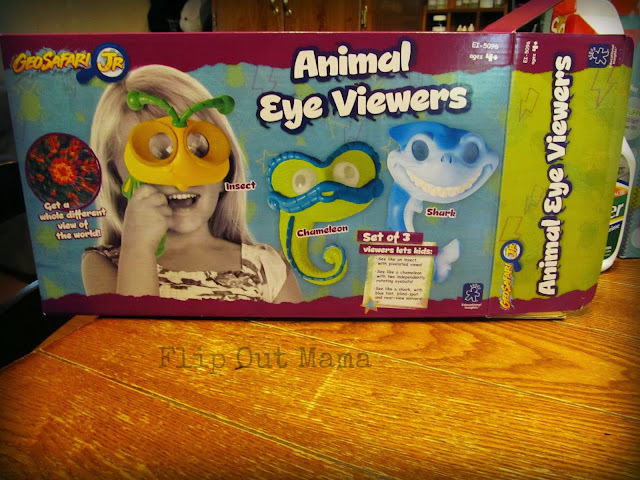 These Animal Eye Viewers have definitely become one of our favorite educational toys! 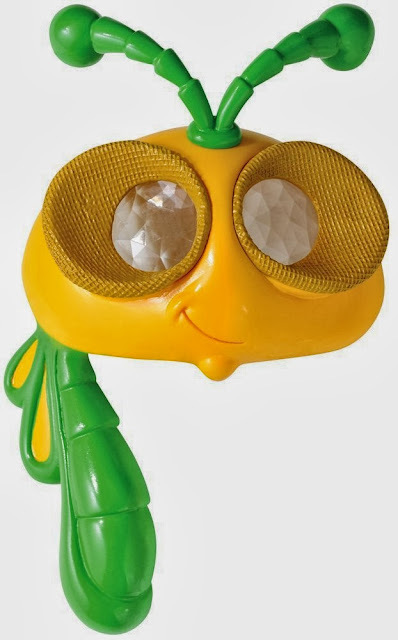 Of course, since they are made by Educational Insights, they are high quality and durable, and would be a great choice if you are a daycare teacher or a school teacher, as well as just for fun home use! If you think that these Animal Eye Viewers would be something your kiddos would like, you can get them on Amazon for a little under $30, which is a great deal! Don't forget to stay up to date on all of Educational Insights news by signing up for the newsletter! Facebook, Pinterest and Twitter are also great ways to stay in touch with this great brand! Stay tuned for more reviews of their awesome products coming soon! We received a sample product in order to conduct this review. Although a sample product was received, all opinions are 100% our own.